* Locals can pick up their selections at our Tasting Room in Carlton, OR. A fun and diverse selection of Willamette Valley Pinot Noir, Single Vineyard Pinot Noir, Rose or White Wines. Enjoy six bottles of Pike Road wine shipped twice a year (April and October). At $120 per shipment, it's the best club value in the entire Willamette Valley! For enthusiasts of Pinot Noir produced in the Willamette Valley. Enjoy six bottles of Pike Road Pinot Noir shipped twice a year (April and October) at $175 per shipment! New releases include two bottles of our Willamette Valley Pinot Noir and four bottles of our small-production Single Vineyard Pinot Noirs. Love Pike Road wines! 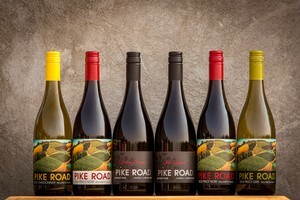 Build up your cellar with twelve bottles of Pike Road wines twice a year (April and October) at $240 per release. The Cellar Aficionado Club release includes a mix of our Willamette Valley Pinot Noirs, Single Vineyard Pinot Noirs, White Wines, or Rose. Aficionado Members receive an extra 5% off mixed case purchases. Double down on our amazing Pinot Noir with the Noir Aficionado Club. Enjoy twelve bottles of Pike Road Pinot Noir shipped twice a year (April and October) for $350 per shipment. Includes eight bottles of Single Vineyard Pinot Noir and four bottles of Willamette Valley Pinot Noir. Love our crisp, refreshing white wines and Rose? Enjoy nine bottles of wine twice per year (April and October) for $120 per shipment. Includes three bottles each of our current releases of Pinot Gris, Chardonnay, and Rose. Our Route 47 dessert wine is available in this shipment on request.